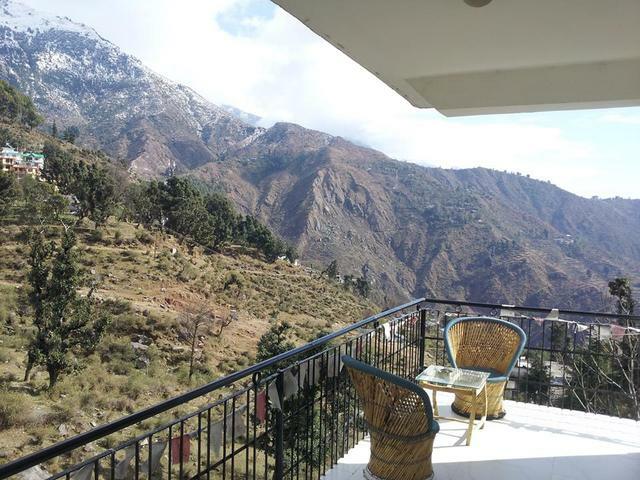 Sky Heaven Resort, Dharamshala offers breath taking views of Dhauladhar mountain range. 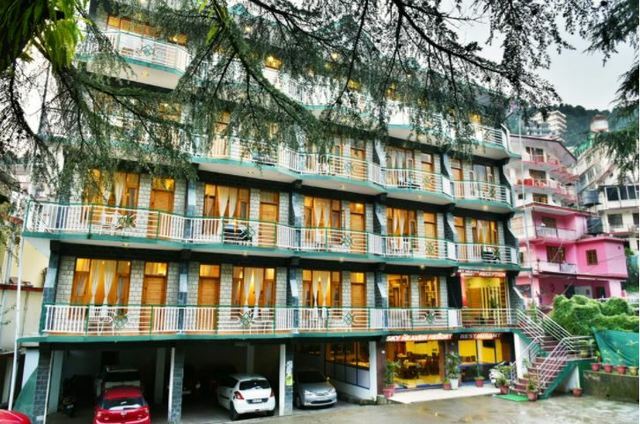 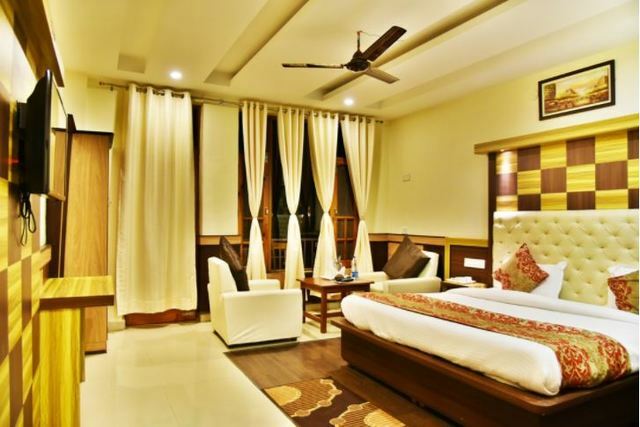 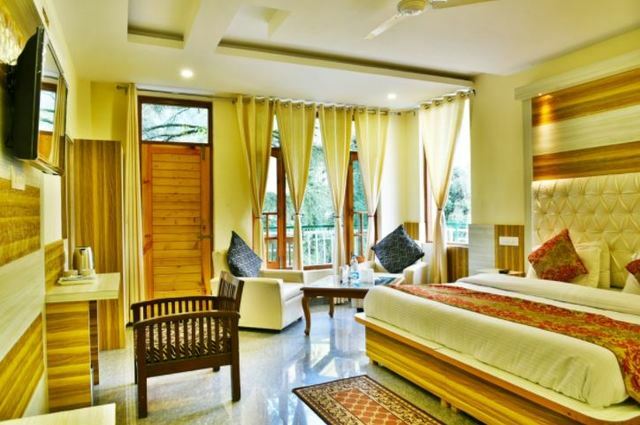 Surrounded by lush green Deodar trees, the hotel offers spacious rooms with modern facilities for a wonderful vacation. 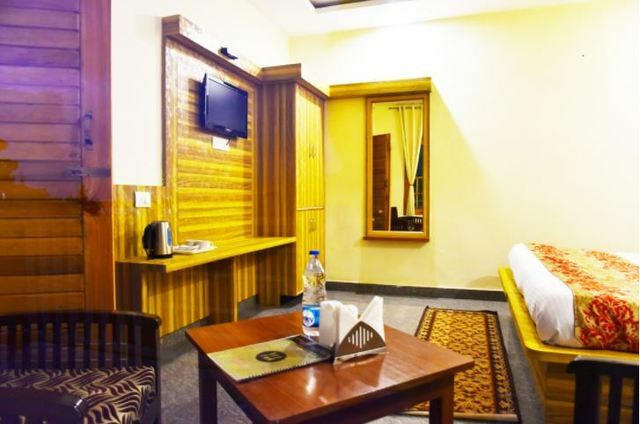 The peaceful atmosphere of the resort is sure to attract a lot of leisure travellers. 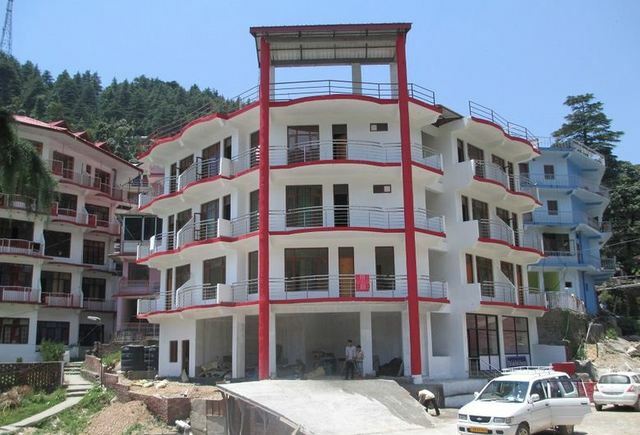 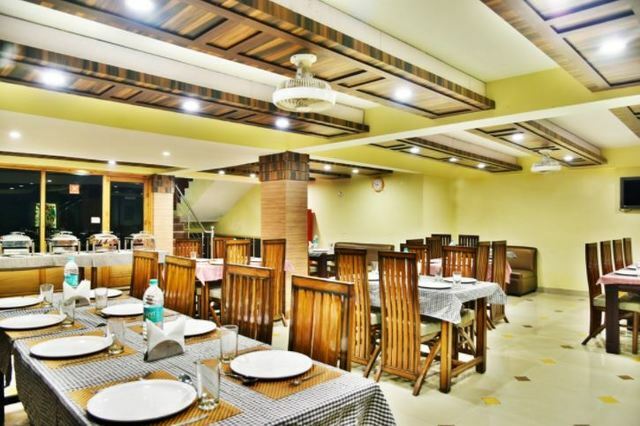 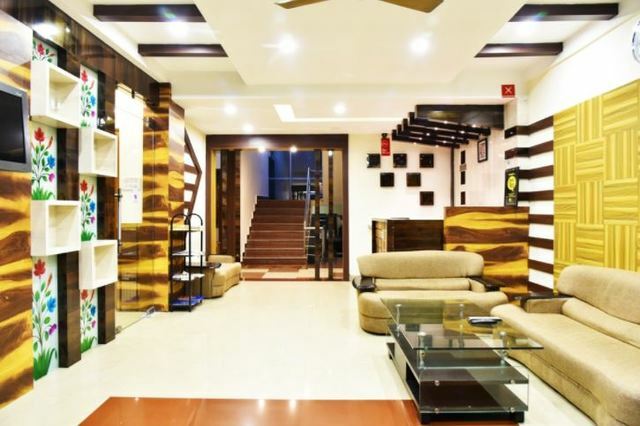 Sky Heaven Resort is located In Bhagsu near Mcleodganj. 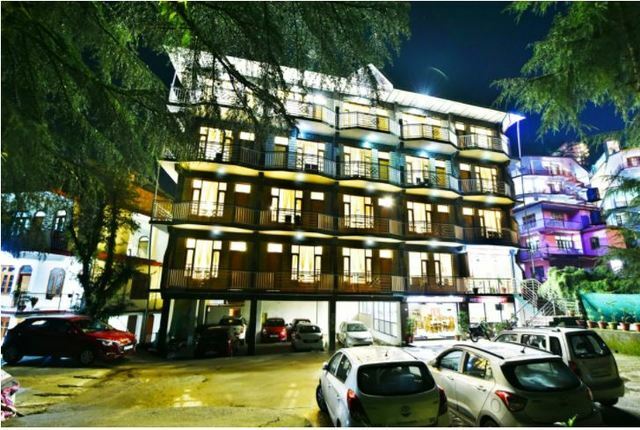 Tourist attractions like Bhagsu Nag Shiv Mandir (Approx. 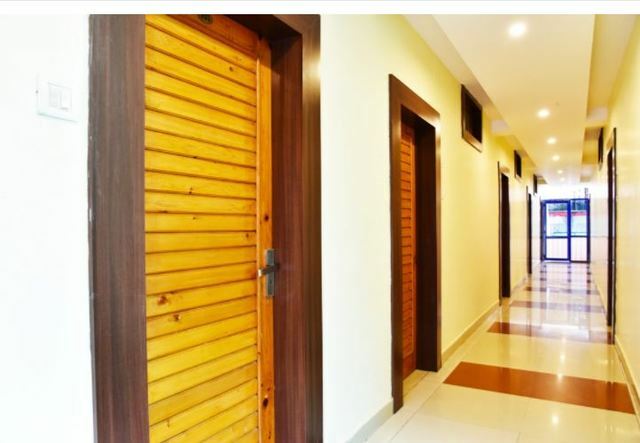 0.5km) and St. John Church (Approx. 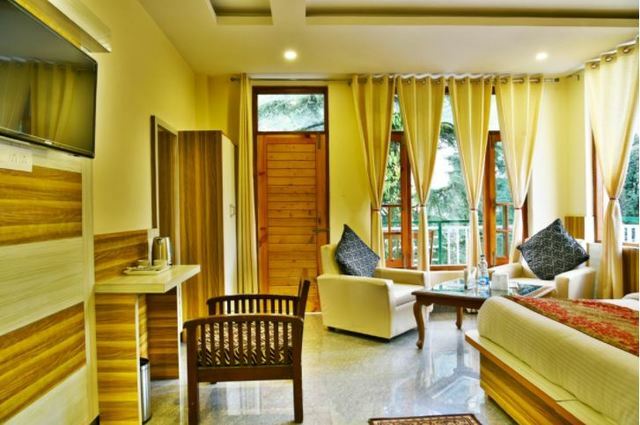 3km) are located in the vicinity of the resort. 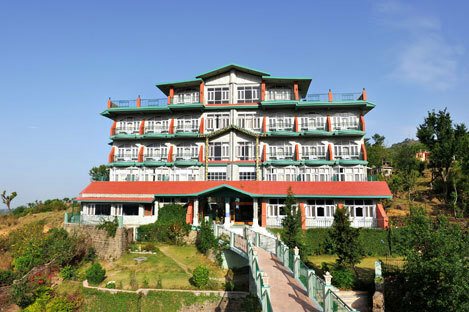 Bhagsu Nag Temple is one of the famous temples surrounded by the beautiful Bhagsu Falls. 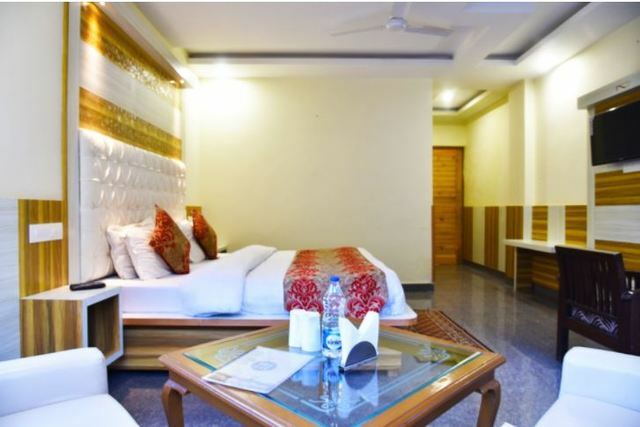 Considered to be a popular place of Hindu pilgrimage, an annual fair is conducted in the month of September that attracts tourists from across the globe. 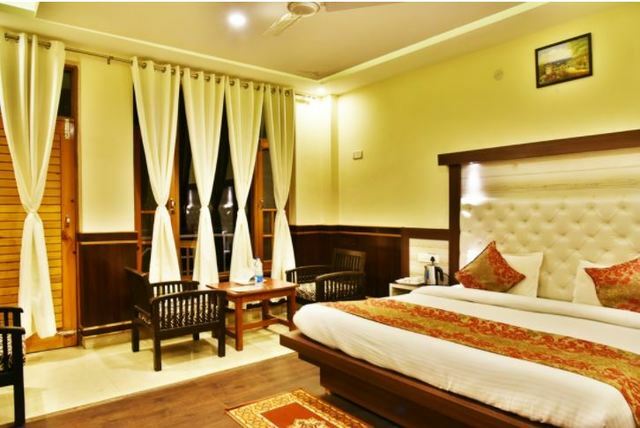 Cherish those special moments with loved ones with the hotel's arrangements such as treks, paragliding, horse riding and hikes. 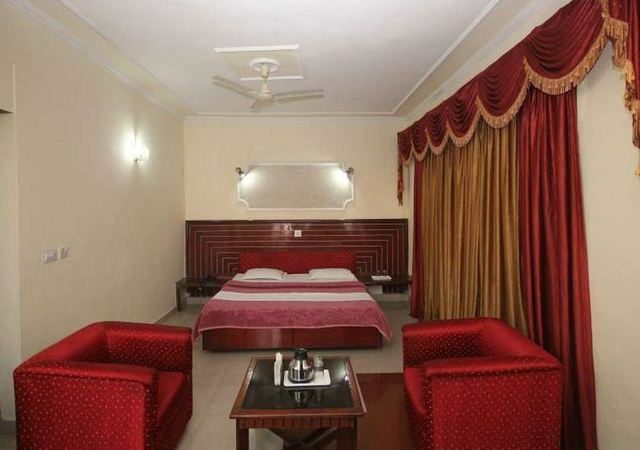 The hotel also offers services such as parking, room service, laundry, doctor-on-call, travel desk and non-smoking rooms. 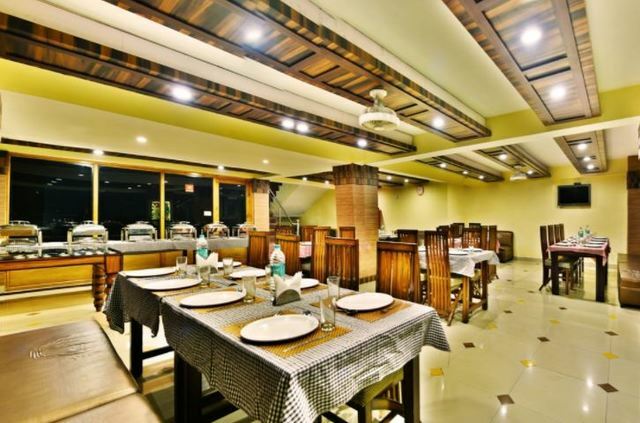 The in-house restaurant serves delicious treats to its patrons which can be savoured during the stay. 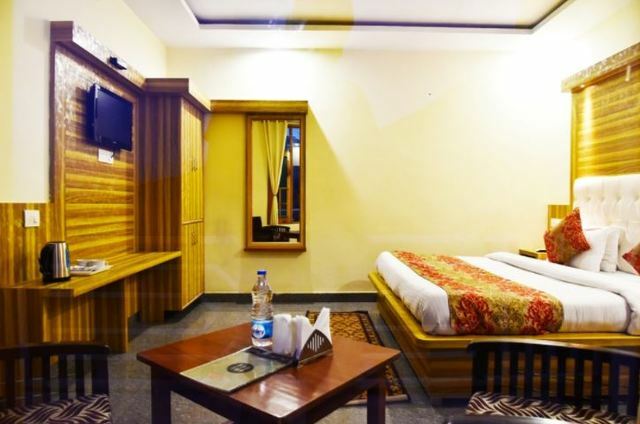 Guests can have a comfortable stay with the various room options available. 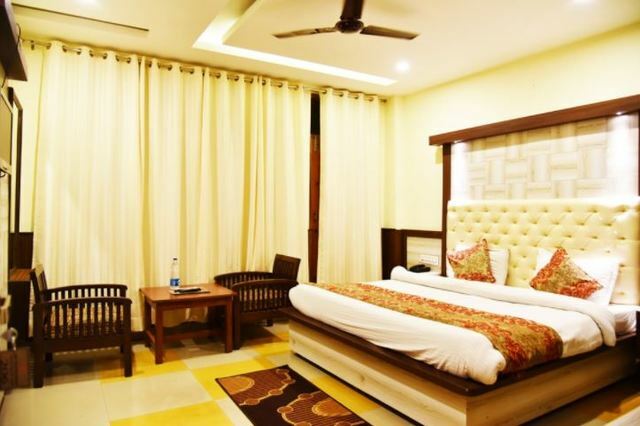 Rooms include semi-deluxe, deluxe and family suites. 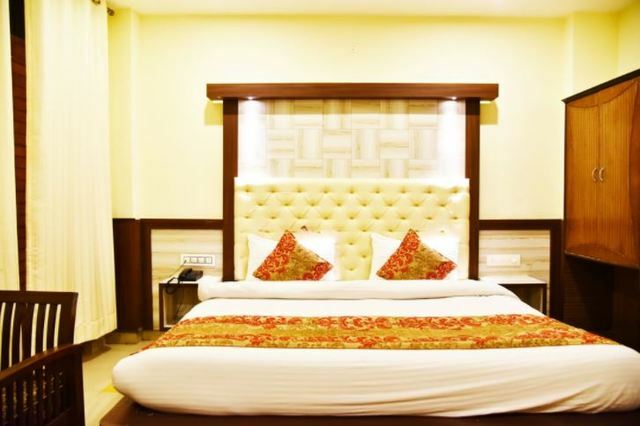 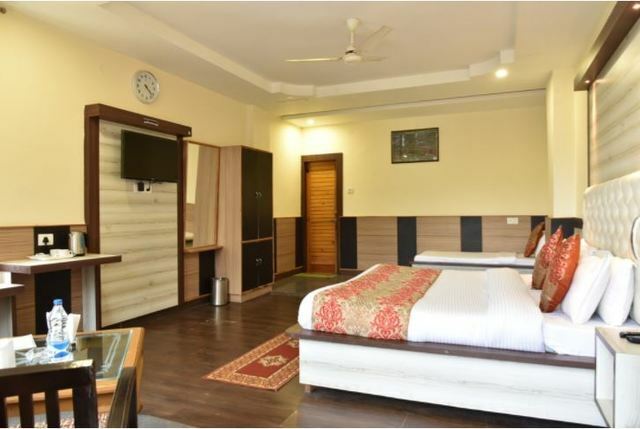 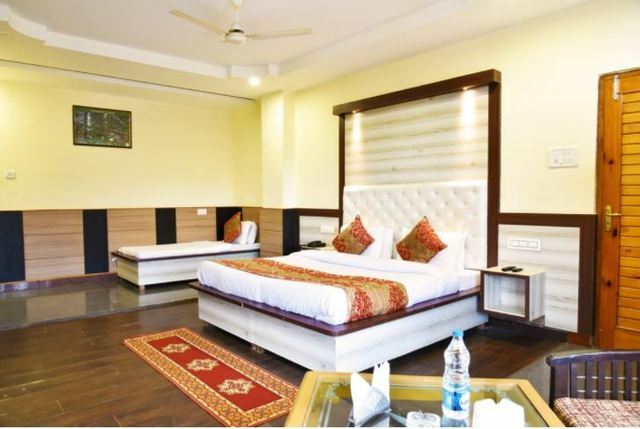 The spacious rooms provide facilities such as air conditioning, colour television, in room menu, phone line, direct dialling and temperature control.